GM Survey – What Would Be On Your Wishlist? Imagine you could send your players a well thought out, carefully crafted session survey to find out their honest opinions of what they liked, didn’t like, and stuff they wished you’d be better at. Soliciting feedback is always a tricky process. Players don’t want to offend their GM, and we GMs want honest opinions so we can improve at our craft. Here’s your opportunity for a solution. If you could get specific feedback from your players, what would you ask? Send me your wishlist of questions, and I’ll gather, edit, and organize them into a Player Survey you can use to get the feedback you’ve always wanted. 1 on 1 Adventures, modules designed for 1 player and 1 GM. Rogue level 2-4) in PDF at RPGnow.com and DriveThruRPG.com. The printed module will hit shelves in June 2005. A very long time ago I had an unfortunate incident during a short fantasy campaign of my own design that I was GMing for my friends. I’d had a stereotypical age-old threat come along from the depths of time to threaten the stability and future of the land and it was up to the PCs to stop it. After four games of slashing their way through the minions of the Shadow Lord, they finally managed to get into the lair of the threat and face him. Suddenly, in the lull just before the final battle, one of the PCs looked at the evil lord and asked, and I quote, “Why have you done all this? What the hell is wrong with you?” I was gob smacked. Reeling, I stammered for a few moments and blurted out something to do with prophecies and revenge, but this didn’t stop the PC from then asking, “But why? What do you hope to gain? You’ll slaughter and blast and defile until there is nothing left for you to rule. There must be more to life than this.” Clearly, the player had not realized that motivation was not forefront in my mind when I designed the game but it certainly gave me something to think about. I had always concentrated on the plot and the action, basically running the game as a sequence of encounters and situations, but had never really gone over the reason why certain people did certain things and what drives them to act the way they do. In this article, I hope to give you some ideas on motivation based on upbringing, and give a few ideas on what to consider before deciding why a character, NPC and PC, is disposed to act a certain way. 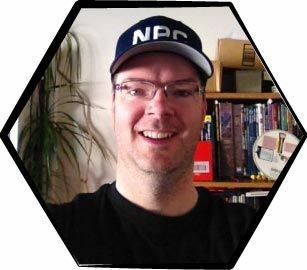 It may help to add more depth to the game as whole personalities are revealed, and it helps open up more role-playing opportunities as players start to question their own motives. What a child is exposed to can have an effect on their personality and perceptions at an older age as incidents throughout childhood mould their character. Their childhood will, in general terms, depend on the environment they were bought up in, with different ideas on how their position in life affected them, both _positive_ and _negative_. A _positive_ influence is an indication of how events can improve a character’s personality, whereas a _negative_ influence details how events can transpire to make a character a danger to society. All these can be chopped, changed and added together. Social BackgroundPositive: Perhaps the father of the character was a poor man, but he had pride that made him work hard to improve his situation. Although the family had little, the mother was satisfied to have the love of her family and did not need anything material to make her happy. An upbringing like this might make a character less greedy than most, more patient, or able to weather hardship.Negative: The father is angry at the ruling body who have allowed him to end up on the bottom rung of the social ladder. He spends his time drinking and working, creating dissent, and taking out his anger on his family. The mother cares very little for children she did not want and sends them out to work and thieve so that the little they earn can go into her pockets. An upbringing like this may make the character violent, angry at peers and institutions, and learning skills that are generally regarded as anti-social. Peer TeachingsPositive: The friends of the character are enjoyable, well- rounded people with good hearts and friendly attitudes to everyone. They frequently go on trips and small adventures together, and bonds are formed and honoured as the group shares what little they have to improve their lot in life.Negative: The people the character knows are cheats, liars, and unfriendly. The small social group the character falls in with have a reputation for cruel or anti-social behaviour, and the only way they can get their kicks is by preying on those weaker than them. This often leads to in- fighting and distrust. EnvironmentPositive: The location the character hails from is wide open and spacious with plenty of places to lose themselves in and appreciate what they have. Alternatively, it is a well cared for part of a larger town which, even though it has very little in the way of wealth, makes do with what it does have and appreciates its existence. This creates a community spirit.Negative: The location the character is forced to endure is a dangerous place, with creatures or individuals a constant threat to the people who work and live there. Neighbours distrust and, frankly, hate each other. It’s dirty, grimy, and has the atmosphere that if you say or do the wrong thing you’ll be found in a shallow grave. BeliefsPositive: The character is taught that all things are equal, that good virtues are always a benefit to the individual and those about them. Their religion may take the form of a passive or defensive stance on violence, and they may also believe that, whilst they do not have much in the way of belongings or wealth, money and material goods are no substitute for a good heart and health.Negative: The character is bought up to believe in ‘survival of the fittest.’ Those willing to do what they can to get what they want is all that matters because life is one huge battle for supremacy. Friends, family, neighbours, guests – they are all usable, disposable, and crushable. Their religion may revolve around intolerance of other beliefs or cultures, and violence is the only true solution. Social BackgroundPositive: The father of the character is a generous man and he has a pride that makes him work hard and share his fortunes. Alternatively, the mother had the love of her family and acquired material goods for them to make them happy. An upbringing like this might make a character less greedy than most, appreciate what they have and the value of it, and be willing to help those less fortunate.Negative: The father is angry at the fact that he only has so much. Perhaps he has progressed up from a lower social standing but still wants more. He spends his time working (although he shirks his responsibilities), creating problems for those around him, and taking out his anger on neighbours and family. The mother cares very little for the children who are a drain on what she has, so she does all she can to get them to leave home as soon as possible. An upbringing like this may make the character angry at and distrusting of others and create abandonment issues. Peer TeachingsPositive: The friends of the character are good people with their own lives but with friendly dispositions. They frequently gather at social venues, share trusts and stories, and great friendships are honoured as the group gathers to appreciate each others’ company and personalities.Negative: The people the character knows are shady and always know ‘someone’ with a finger in the larger pot of trouble. The social group the character joins has a penchant for anti-social behaviour and this often leads to infighting and distrust of others in the group and outsiders to the group. Perhaps the ‘gang’ builds a reputation that leaves a lasting impression. EnvironmentPositive: The location the character comes from is a beautiful, natural place, or a whole estate/quarter of a city that has good security and wealth. This creates a community that enjoys gatherings, social activities and a general atmosphere of well-being and safety.Negative: The character is forced to handle themselves in a dangerous place, with dangers a constant threat to the community who lives there. Because of this danger, maybe in the form of crime or gang problems, neighbours distrust and feud with each other. It’s an unsanitary, lawless, and uncared for place. The atmosphere is one of continuous, oppressive danger. BeliefsPositive: The character is taught that although all things are equal, hard work and commitment reaps its own rewards. Their religion may be a way of bringing together the community and preaching their non-aggressive stance on life and, whilst they have a comfortable existence, money and material goods are a way of defining your success.Negative: The character is bought up to believe in ‘if you want it, take it.’ Those who want to better themselves had better be prepared to fight, cheat, and tread on others to reign supreme. Their religion may incite distrust of other religions and encourage closed ears to other opinions and conflict. Social BackgroundPositive: The friends of the character are of their social class and they mix frequently at expensive restaurants and venues. They share their leisure time doing exciting activities and traveling to far places, always under the protection of the security the family needs. Friendships are solid as they all appreciate the lives they lead.Negative: The people the character mix with are always trying to throw off the ‘leash’ of their superiors, trying to do things that are the opposite of their position, such as dangerous sports or ‘slumming it.’ Even though they oppose the rules set by their peers or security, they still use their position as a retreat or an excuse. This makes them spoiled and ignorant of the consequences of their actions. Peer TeachingsPositive: The father of the character is a hard-working honourable man and his main aim in life is to make sure his family has everything they need to grow up to be good people. Perhaps their mother acquires tutors and materials to help them to grow. An upbringing like this might make a character appreciate their lofty position and the value of helping others less fortunate.Negative: The father has so much that he become a selfish, uncaring miser. Perhaps he has fallen from a higher standing and hates the fact, or risen from a lower class and still wants more. He might spend his time playing and squandering his money, ignoring his family in pursuit of other distractions. The mother cares little for the welfare of her children and leaves them with nannies and caretakers for the most part. A childhood like this may make the character unemotional and selfish in his actions. EnvironmentPositive: The character comes from a beautiful estate that has been taken care of by the family past and present, and the cities they invest in or govern have good security and wealth. This creates a community of good feeling and safety, and so the character appreciates their lot in life and is sympathetic to lesser-privileged people.Negative: The area the character hails from is a dangerous place, with violence a threat to the ruling, higher- privileged families who live there due to their lack of concern for those less fortunate. This danger causes civil unrest and riot problems. It’s an oppressive place, and the family regards the lower classes as misfits and miscreants. BeliefsPositive: The character is taught that hard work and responsibility is the way, no matter how much you have or how much you can delegate. Religious ceremony may be a way of showing the community that the family is not all-powerful and even they answer to a higher power. Whilst they have a comfortable existence, more so than those above them, this brings the higher families and the lower classes together and promotes solidarity.Negative: The family ideal is ‘the power is yours, so you can do what you want.’ Those without power or money are good for nothing but service to the richer or ruling elite. Their religion may incite hoarding and selfish acts, and encourage violence to take whatever makes the family or estate more powerful. Tip: when your sandtimer(s) arrive, be sure to label them! I purchased several different times, and when my timers arrived I instantly got them mixed up. 🙂 So, label or paint them without blocking the view of the sand (i.e. use markers to paint the bottom ends). Often, especially when running games at Cons, I find that I must keep the pace of the game moving forward. To effectively manage passage of time and balance story flow, I have found that setting time limits for players to make a decision helps to keep the game focused and on track. By selectively using a 3 minute egg timer, I have achieved a most effective balance of time passing and meta-game thinking. At the beginning of a session or campaign, I explain my use of the 3 minute timer (a small “hourglass” style with white sand in it, available in many board games or in kitchen supplies). I keep the timer in my dice box and pull it out when passage of time needs to flow quickly, or an event is imminent and the players have a bit of time to prepare. It’s best used selectively to help reinforce good story telling. Passage Of TimeIf the group lacks a strong leader, hasn’t played together before, or is fairly inexperienced, the egg timer makes for excellent management of time.If you need a day to pass by quickly, three minutes gives the players a chance to apply flavour to their characters and engage in any craft, study, hunting, divination, and so on. This also allows a period of time pass by in a predictable fashion. If the time runs out, then the PC didn’t have a chance to get to the activity that day. When you need four days or a week to pass by you can have it flow in a quick and measured fashion. This also allows the players to feel the passage of time in standard increments and have a chance to quickly expand the _role_ of the character. In short, using the incremental time can balance action with development. Start the 3 minute timer. Quickly explain where/what the opponents are doing. Quickly define any specific encounter parameters (path of travel, creek/rivers, cliffs, etc.). Give the players the remaining time and board materials (e.g. shrubs, trees, rocks, walls, livestock, etc.) to set up as they see fit. During this time they must place their characters and any items. At the end of 3 minutes, I will make any quick adjustments and place any remaining players or terrain. Confirm the set-up with the players and start the encounter! It is representative of the time the characters spend finding a good ambush spot, talking strategy, or preparing for the encounter. It provides a sense of excitement and anticipation for the encounter. Having a time countdown toward an incoming attack helps to get the story jumping. Allows the GM to quickly review stats and prepare the enemy tactics or encounter probabilities. Looming ThreatWhen a serious trap or attack is on the way, I oftentimes will quietly put out the timer and begin describing the challenge and allow the players to quickly strategize their defense or plan. This also might represent the time it takes for the attackers to break down or through the barricade in front of them. This gives the characters a chance in _real time_ to activate buffs, role play rallying their troops, and “get in the mindset” of the encounter.When the timer is halfway down, I might say something like this:”With another dull thud, the battering ram continues, the gate is groaning after every blow. It won’t hold much longer.”Using the _looming threat_ helps develop the tension that can be built from the dramatic pause before the army breaches the walls or the enemy steps through the portal. It’s the “Deep Breath” that the party takes before “Jumping In.” The dramatic pause can be used to great effect; the 3 minute timer, with sand dwindling down, helps to keep the pause time to a focused minimum.Variation: Provide different amounts of time based on success of rolls by the PCs and NPCs. As far as running a new PC goes, I usually work out the character’s personality during the creation process. The choices of skills, traits, abilities, even possessions are all reflections of the persona that will be run in the game. I generally start off with a type of character. Thief, Warrior, Mage, or sometimes something completely off the wall. Then I choose a race and from there I sit and ponder for a few. Why did he become a Thief? Is he stealthy or strong-arm prone? Is he flashy or subtle? Why did this person become a Warrior? Is that the norm for his society? From this I get a rough concept of what the persona will be like. This concept becomes clearer and clearer as I purchase skills and items. Sometimes, midway through, I’ll hit upon a certain combination of skills, backgrounds, and items that will completely change my original concept, and I end up with a character that is both unusual and fun for me to play. My wife’s comments on the recent tips. I like making quesadillas too, but I have some concerns about the method used in 30 Second Quesadillas. Plastic wrap contains chemicals called pthalates that leech into the food, particularly when the plastic is heated. Pthalates are particularly bad for developing organisms (babies, fetuses), and they are not something I’d recommend males consume regularly, since they act as antiandrogens. I like making quesadillas in a frying pan, using spray oil like Pam. It only takes a couple minutes and is not at all messy. In a microwave, I’d suggest wrapping the quesadilla in a damp paper towel. That idea of the crib board is a pretty good one indeed, but it suffers from the problem of too few rows and color distinctions, as you have already mentioned. A good replacement for that would be the circuit tables (they are called QTs in my language) that are made to connect circuits. Those tables benefit from having a lot of rows, though the holes are a tad too small. In the same store where you find a QT you can find telephone cable in all colours that you can fit and make all the pegs you need. Hope this will prove to be helpful. To help manage your campaigns better and deal with last- minute real life issues that tend to come up, create a player contact sheet and put it in your GM binder, or keep it on your computer with your other campaign files. The range of phone numbers gives you the most flexibility for coordinating last-minute changes. When collecting these, ask for any acceptable use conditions (such as contacting players at work only case of emergency). E-mails are tricky because you don’t know how often players will check theirs and when they’ll be able to respond, so by getting a daytime e-mail you are again able to contact players with greatest possible success. Tracking alternate game days that players have available can make scheduling a lot easier and more efficient. If you can rule out a day, for example, that’s 1/7 of a rescheduling decision made without making a single phone call. Knowing players’ pick-up addresses and driving directions lets you pass those on without delay to drivers. This is especially important during last-minute commute changes. All this might seem obvious, but if you don’t have a contact sheet prepped, consider stopping right now and whipping one up – even if it’s full of blanks. Get things filled out before or during next session. As GM, you can use a player contact sheet to ensure sessions are as fully attended as possible with minimal starting delays. Final point: ask what players’ privacy policies are. Some players want to keep their contact information (or certain pieces of it) private – even from fellow players, so gather this information and honour any requests.